Before starting this, let me ask you one question first. The question is that have you ever seen anyone who doesn’t use any technology..? Let me guess the answer…! . The answer is No. Isn’t it? This is a simple question, but the real question that attracts my mind is that; what are the reasons that we are unable to do any work without technology..? The most probable reason could be the over dependence on them. We see the use of technology in every aspects of life whether it is as big as train or as small as a needle. 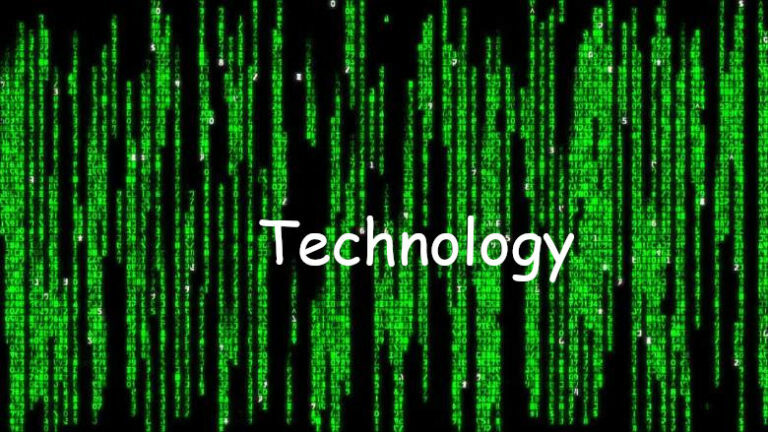 So let’s understand the meaning of technology. The definition of technology differs from individual to individual. One of the most followed definition of technology is that it is the collaboration of techniques, skills, methods and processes used in the manufacture of goods or services or in the accomplishment of aims, such as scientific investigation. Technology can be the cognition of techniques, processes and it can be implanted in machines to allow for operation without detailed knowledge of their working. The simplest definition of technology can be stated as the creative implementation of thoughts. Technology may also be stipulated as the development and use of basic tools. Early humans also have learnt the use of technology, right from the invention of fire. First they used technology to control the fire. Gradually they had mastery over it. Same is the case when they invented the wheel which helped humans to travel in and control their environment. These are the limited use of technology at that time. But the role of technology also expanded with the passage of time. Developments in historic times, including the printing press, the telephone, and the internet, have lessened physical hurdles to communication and allowed humans to interact openly on a global scale. The use of technology has increased drastically from the late 20th century. Technology has come a long way from the invention of printing press and now we are talking about GNR revolution viz. Genetics, Nanotechnology and Robotics. The scope of robotics is very wide; we will focus on it in next article. The exact relations between science and technology in particular have been argued by not only by the scientists but also by the historians as well as policymakers. Science is generally the systematic knowledge of the physical or material world gained through observation and experiments. On the other hand, technologies are mostly the products of science. In other words we can say that Technology is the applied science. It always influences the value of society. Rise of the efficiency in terms of human productivity. Knowing the origin of earth by using instrument such as telescopes etc. It is not possible to have only good impact. There are also some negative effects also due to which it is being criticized. Unwanted by-products produced by the technological processes cause pollution. Almost every gadget’s waste is impossible to dispose. Some technologies hamper the natural phenomena. There are many threats of using technology blindfoldedly. The excessive use of technology leads us to become inactive. We are bound to use the technologies even if they are not required at that to us. The best example to suit this condition is the use of phone; rather we call it the misuse or overuse of mobiles. . Now the use of robots in operations is becoming reality. The biggest threat to the use of technology is that the concept of artificial intelligence (mainly in robots). There is a high possibility of becoming slaves of the robots. Only one robot is enough to create havoc and destruction to mankind. Next Article What is the state of Mind?